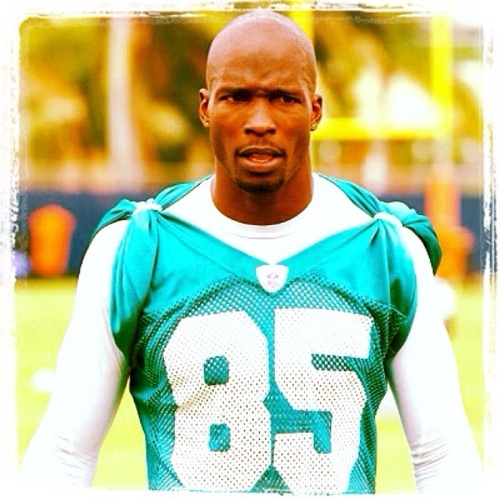 Ochocinco: A Catch for the Dolphins? It was hardly surprising when the New England Patriots released Wide Receiver Chad Ochocinco last week. With 15 catches and one touchdown, last season was the least productive of his career. Even so, he did play in his first Superbowl. He was widely absent from the game, but managed one catch in the Patriots’ loss to the New York Giants in Super Bowl XLVI. What is even less surprising, is his new destination. Yes, Ochocinco is taking his talents and his 3.4 million Twitter followers to South Beach, as the newest member of the Miami Dolphins. There is a reason Miami was the most talked about destination for the popular football/pop culture star. It just makes sense and really may have been the only place that did. For one, before he was known as Chad Ochocinco, Chad Johnson grew up a Dolphins fan in Miami where he played as a receiver, quarterback, and punter at Miami Beach Senior High. Second, the Dolphins could really use some experienced receiving talent, and while he was less than productive last season, it’s speculated that put in the right situation, Ochocinco (34) may still have some gas in his tank. And taking care of himself has never been a problem (see above photo). He may be a regular on the party circuit, but the guy doesn’t even drink. His only NFL discipline has been fines for his now famous touchdown celebrations (I bet Roger Goodell is missing that income stream about now). So, sure thing? No. But a safe bet. For one year. And now for the real reason the Dolphins makes sense for Ochocinco…the team recently signed on as the featured team for the HBO series Hard Knocks, admitting that they’re hoping to attract the attention of new fans. And no one loves attention more than our friend, Chad. He had his own dating reality show, Ochocinco: The Ultimate Catch, competed on Dancing with the Stars, is engaged to reality show star Evelyn Lozada and appears regularly on her show, Basketball Wives (or ex-basketball fiancees in her case), and as referenced above, he is one of the most popular social media darlings in the Twitterverse. If attention is what they seek, the Miami Dolphins have the right man for the job. And Evelyn hasn’t even met Lauren Tannehill yet. She’s the wife of rookie Quarterback Ryan Tannehill, who attracted more attention than he did during the NFL draft. Will all this be good for the team? Who cares…it’s going to be great for us! Training camp can’t come soon enough. Hard Knocks or opportunity knocks? For our Chad Ochocinco, it may be both. And if he can bring the Dolphins some much needed talent on the receiving end, we all win. Will he be The Ultimate Catch? Who knows. But one thing is for sure, this is a match made in ratings heaven. Stay tuned. I know I will. …And I’m counting the days until he changes his name to Ochofinco. This entry was posted in Dolphins, NFL, Patriots and tagged Chad Ochocinco.